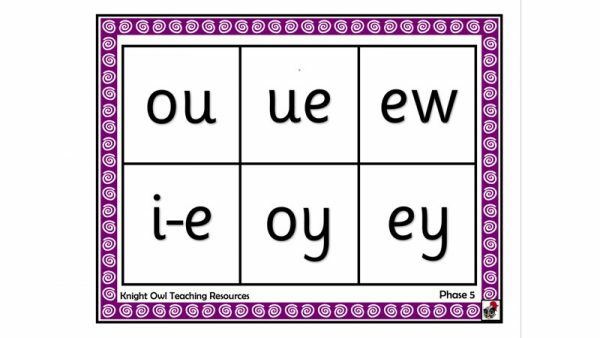 Practise reading a set of words containing the ‘ou‘ grapheme. 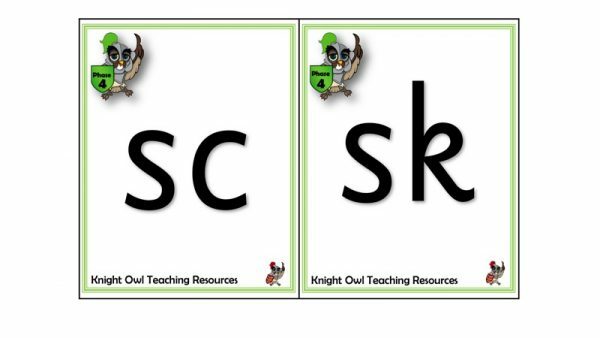 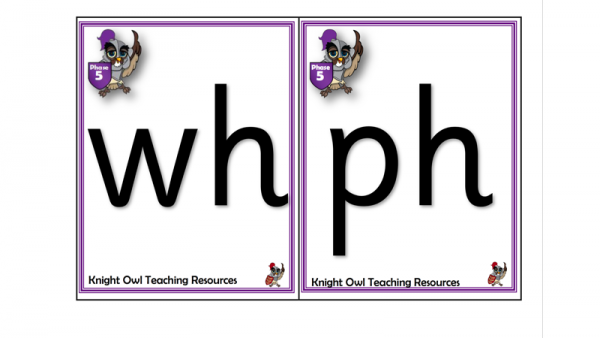 Phonic Screening Cards (2018) to help prepare children for future screening checks. 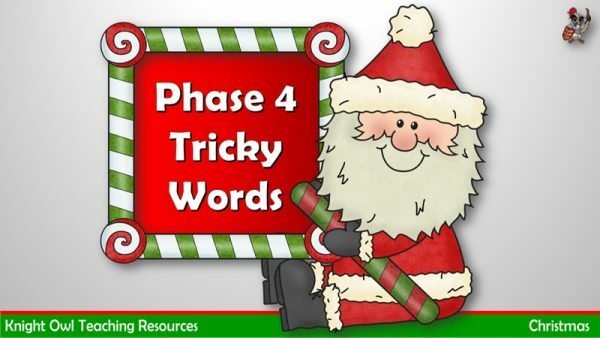 Phase 4 tricky word PowerPoint with a Christmassy theme. 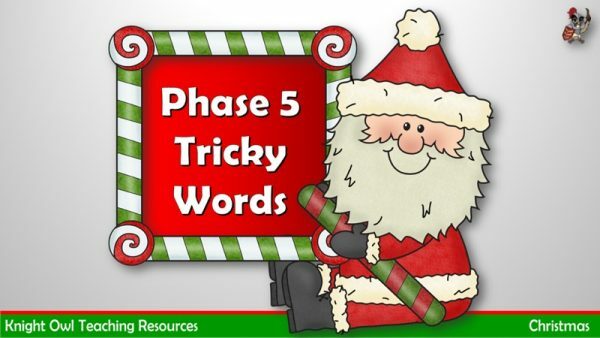 Phase 5 tricky word PowerPoint with a Christmassy theme. 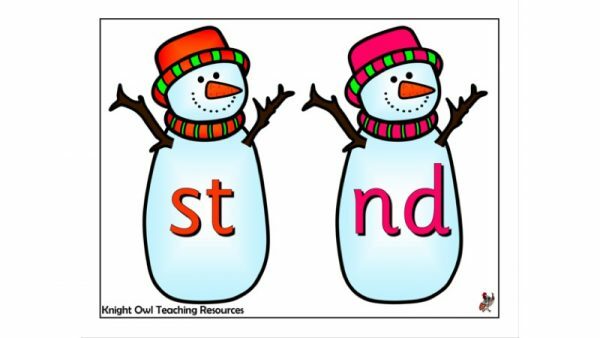 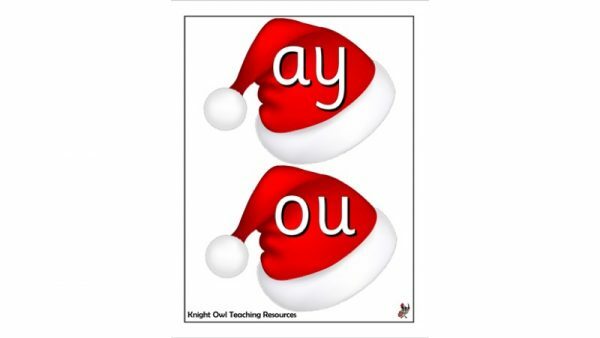 Phase 5 letter sounds on Santa hats for classroom displays. 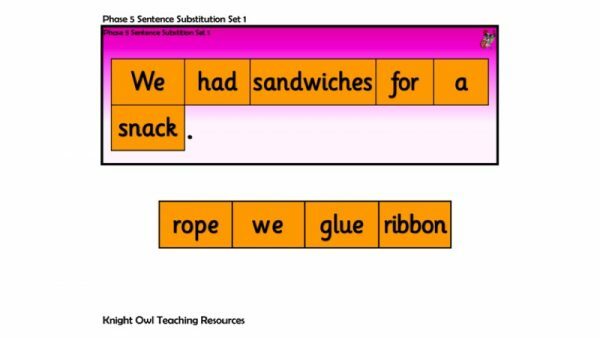 Add alternative words to make ten new sentences for Phase 5. 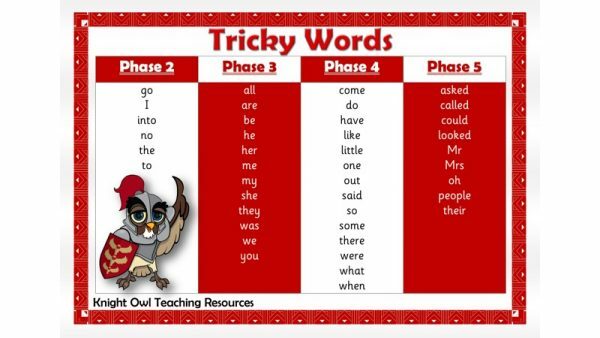 Add alternative words to make ten new sentences for Phase 4. 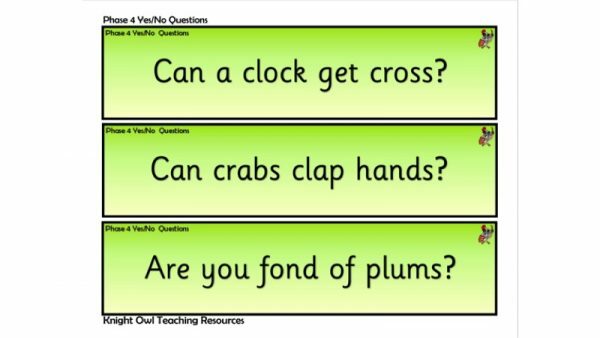 Phase 4 yes/no question cards supporting the teaching of phonics in Year 1. 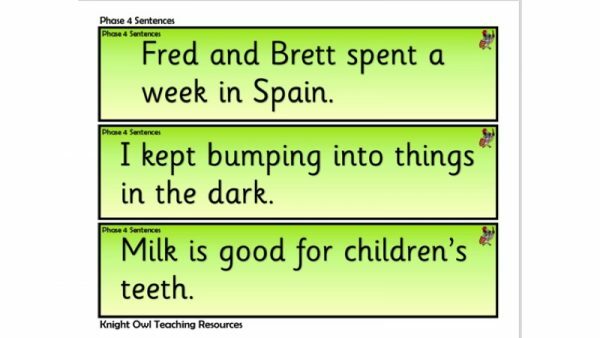 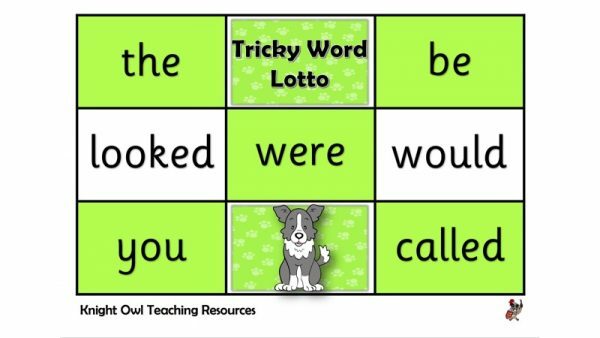 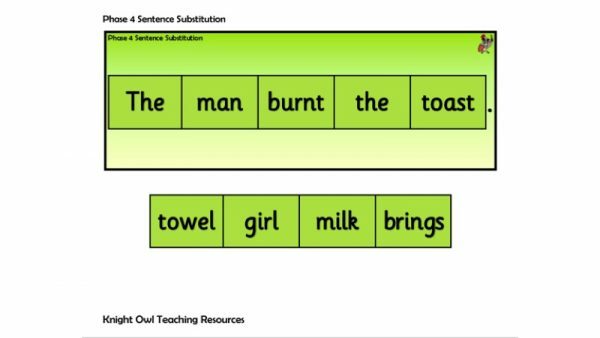 Phase 4 sentence cards supporting the teaching of phonics in Year 1. 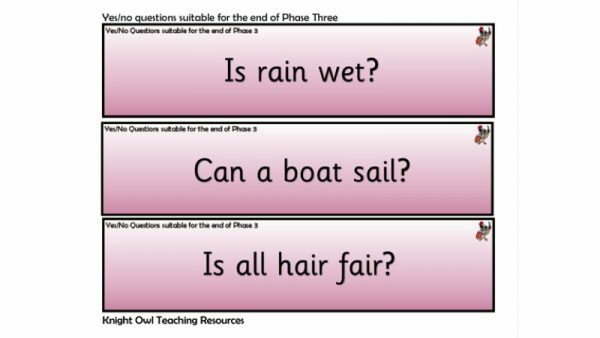 Phase 3 yes/no question cards suitable for the end of Phase 3. 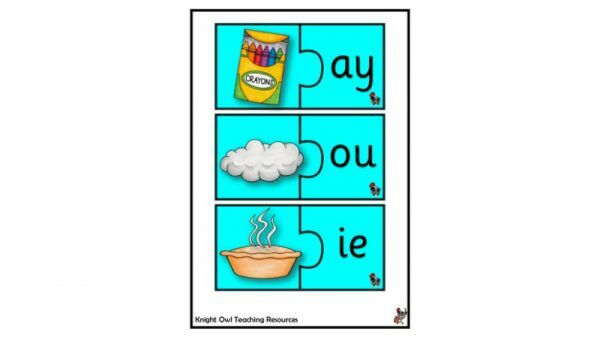 Jigsaw puzzles – match the picture with the Phase 5 letter sounds. 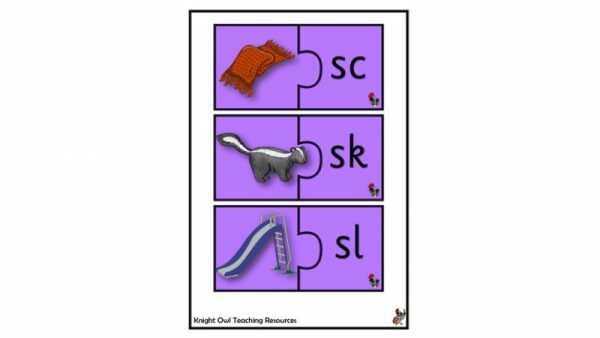 Jigsaw puzzles – match the picture with the Phase 4 letter sounds. 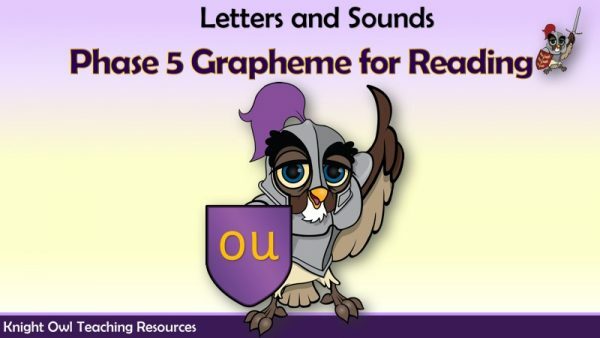 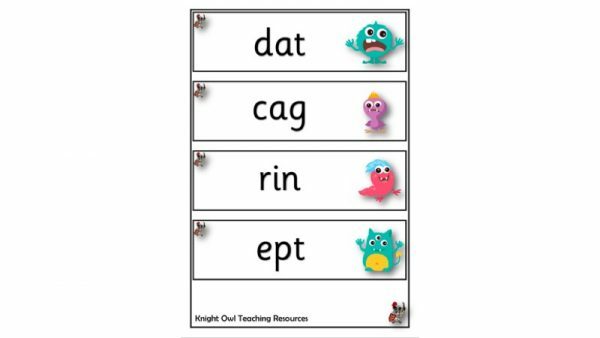 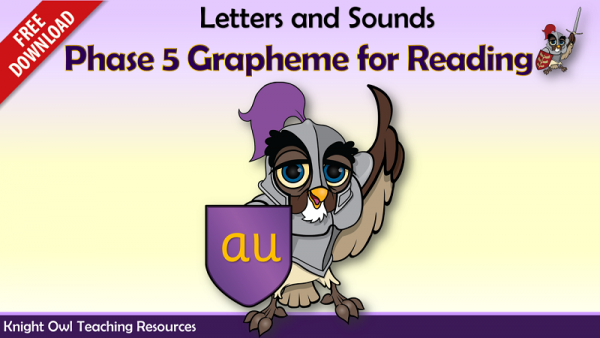 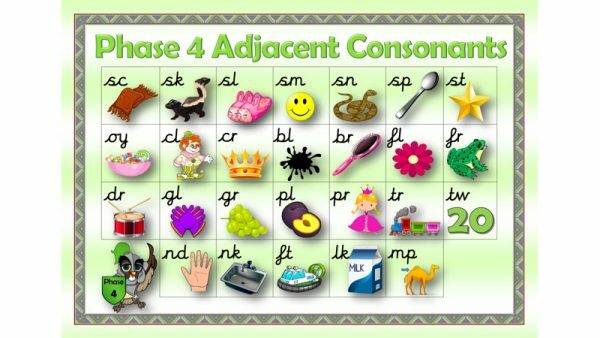 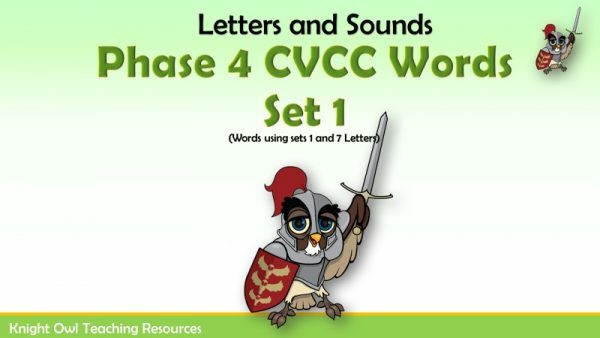 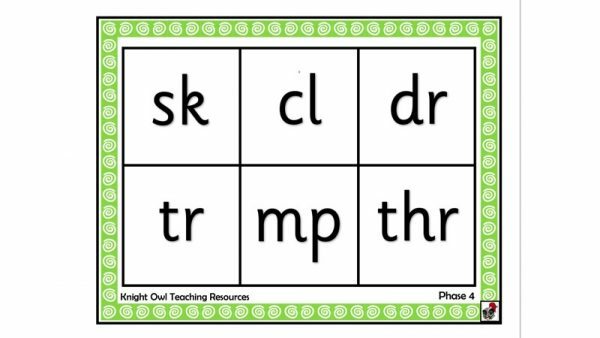 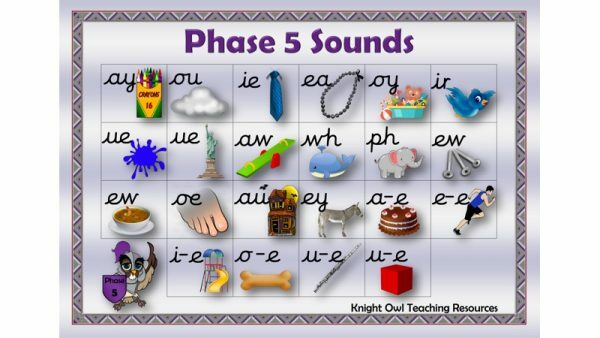 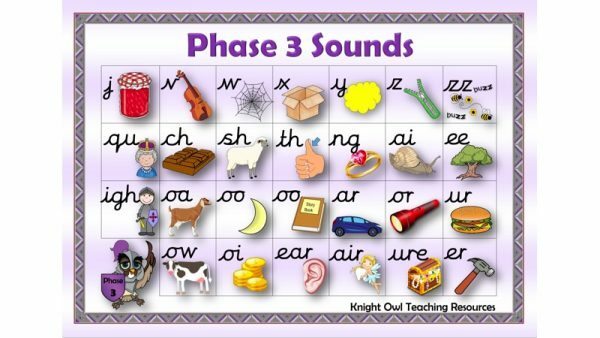 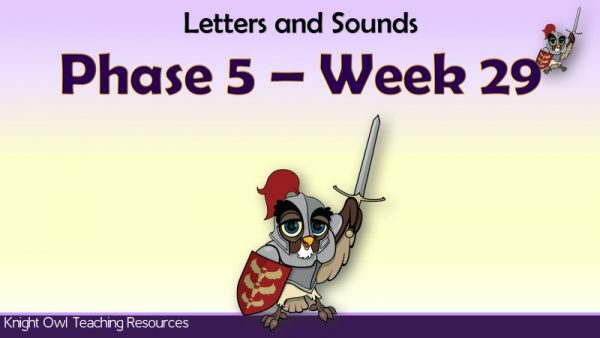 Letter sounds cards to encourage quick recall of Phase 4 adjacent consonants. 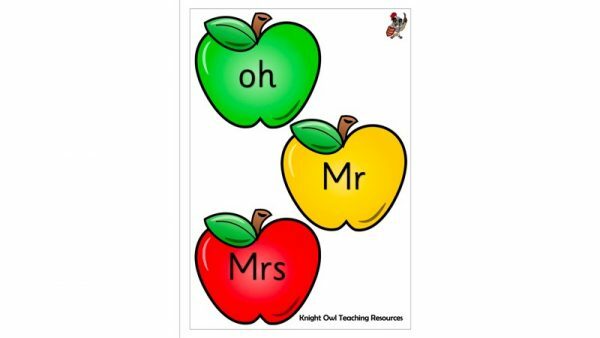 Colourful apples with Phase 5 tricky words for classroom display. 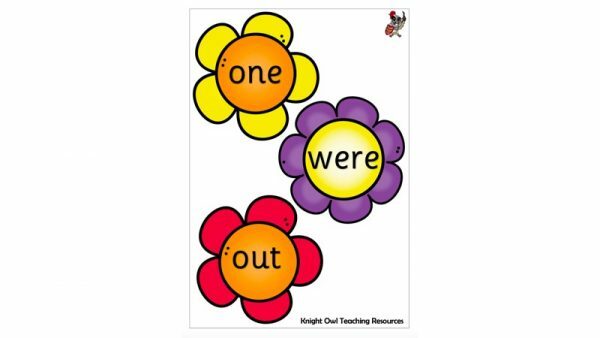 Colourful flowers with Phase 4 tricky words for classroom displays. 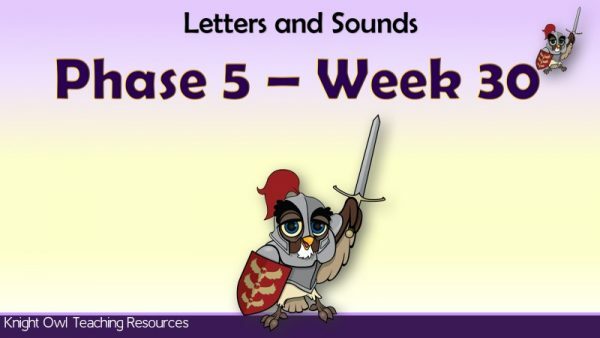 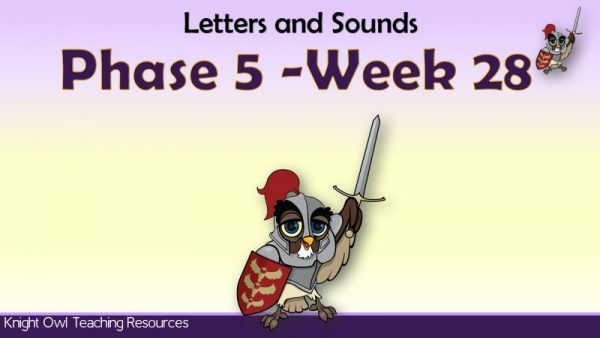 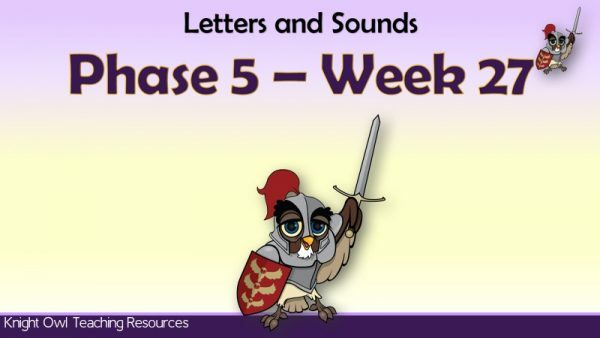 Letter sounds cards to encourage quick recall of Phase 5 phonemes.